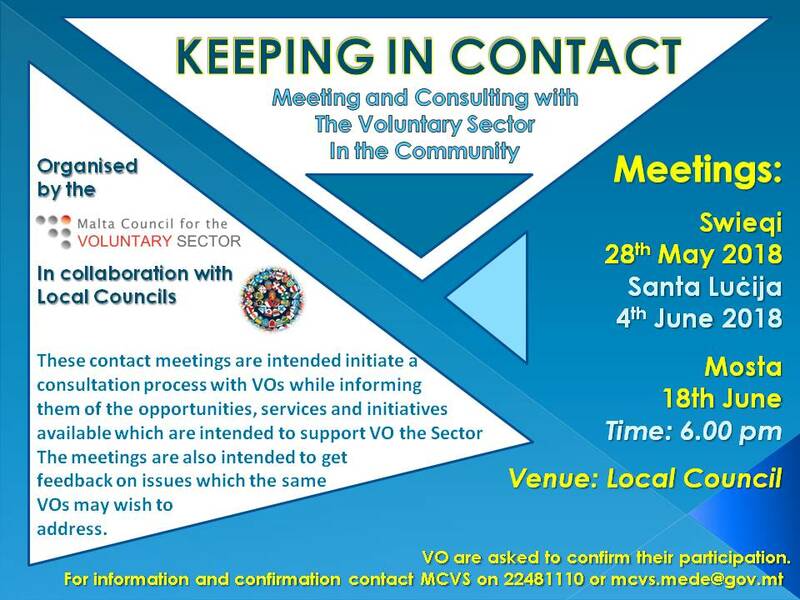 As part of the Consultation Process in relation to the upcoming National Strategy on Volunteering the Malta Council for the Voluntary Sector is holding a number of Contact Meetings within various localities. These local meetings are part of a larger consultation process which will also consist of Regional Meetings and a National Conference in the months to come. The National Volunteer Strategy is intended to provide connection and co-ordination across both National and Local Government to support better on all dimensions the volunteer sector and make better use of all available resources. A National Volunteer Strategy would focus on co-ordinating research, consultation with the sector and implementation of reforms to support the sector at an organisational and individual level. A truly national strategy must provide an opportunity for coordinated policy development and decision-making at the national and local levels that will be reflected in specific national and local actions. VOs are invited to participated in the Consultation and Contact meetings which are being announced, contributing actively. Press Launch in collaboration with the Permanent Secretary for Youth, Sports and Voluntary Organisations to launch the Consultation Paper. The press launch will be on the week starting 18th June (exact date to be confirmed). For further information contact MCVS on 22481110 or by email on mcvs.mede@gov.mt .